If you are looking for quality homes in Bangalore, you might find Purva Skydale to be your dream home. The residential complex has been developed on Sarajpur Road, and comes with loads of amenities for the home-lovers. You can enjoy elegant apartments with classy interiors in the estate. Bangalore is one of the most desired hubs for home-buyers. The beautiful city has got an enriched social infrastructure. The well-developed roadways ensure swift connectivity between all the important places. Well, this residential complex brings you beautifully designed apartments, resonating the essence of quality architectural craftsmanship. You can invest in the luxurious apartments in Bangalore for commercial purposes or residential use. The value of property in the area is rising. The Purva Skydale price is likely to escalate in the coming months. Homeowners willing to embrace a sophisticated lifestyle should buy the apartments now. The apartments come with spacious interiors, equipped with elegant furnishings. The wide balconies and large windows in the apartments ensure an optimum flow of natural light. The estate comes with green living facilities. You will enjoy the landscaped gardens, beautiful lakes and large green spaces in the complex. The corridors are enriched with various arts and residents will enjoy a quality living ambience here. 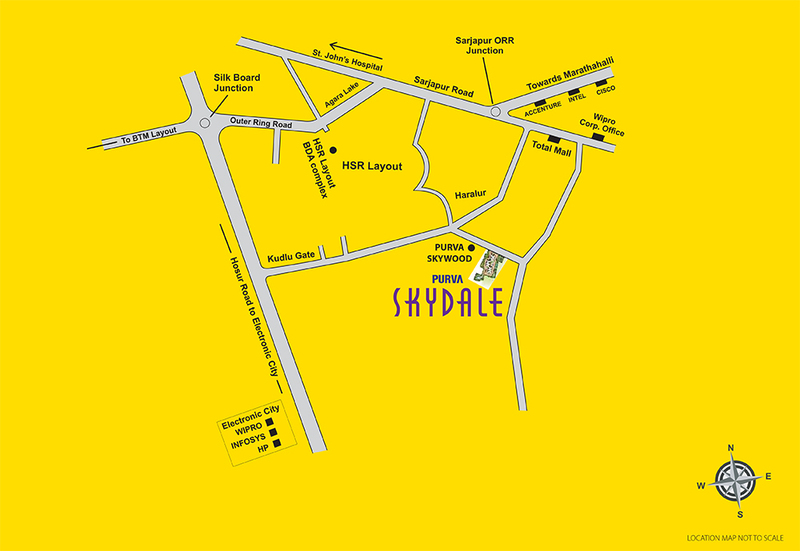 The location advantage of Purva Skydale Sarjapur Road is one of the key reasons behind its high demand. It is located around 2.5 Km. from Hosur Road and 3 Kms. from the HSR Layout. The residents can get an easy reach to the Sarjapur Road-Outer Ring Road junction, located 4 Kms. away. Besides, the Electronic city is located just 5 Kms. from the residential complex. The well-developed roadways ensure a seamless connectivity to the important places in Bangalore. The commercial importance of the city is the prime reason behind the increasing demand for quality homes. Being the IT capital of the country, Bangalore has got a tremendous employment potential. A number of blue-chip companies have come up in the city in recent years and MNCs are rapidly expanding to the city. Getting an apartment in Purva Skydale Bangalore ensures that you can get an easy reach to these areas. The city offers immense scopes of entertainment to the residents. Several shopping malls, multiplexes and restaurants are located close to the residential complex. You can go for the 2 and 3 BHK apartments in the estate and experience the sophisticated lifestyle in the complex. The residential complex comes with several modern amenities. Health and fitness enthusiasts will find their dream home in the estate. You can enjoy the swimming pool, gym, indoor and outdoor games and clubhouse in the residential complex. Dedicated play areas have been developed for the children to enjoy their time. You can arrange for meetings and conferences in the banquet. The residential complex remains under enhanced security cover. The residents can enjoy 24 hours of water and power supply in the apartments. If you are willing to invest in it then, this is the right time for you. The prices of property in the area are on the rise. Enjoy the luxurious apartments with all the amenities that refine your living. A legacy which will last longer and will break all the shackles and myths about the real estate market, with their perfection element, Puravankara Group is all set to create benchmarks in this sector. Their constructions all over the nation are truly fabulous in design and every time they have presented magnificent projects. The company has never compromised with the quality and with their brilliant team of expert architects and tremendous architectural technologies, they have provided satisfaction to their customers. Their major motive is to connect with more and more people and win their hearts and their dedication, transparency and timely deliverance have helped them to achieve this goal. 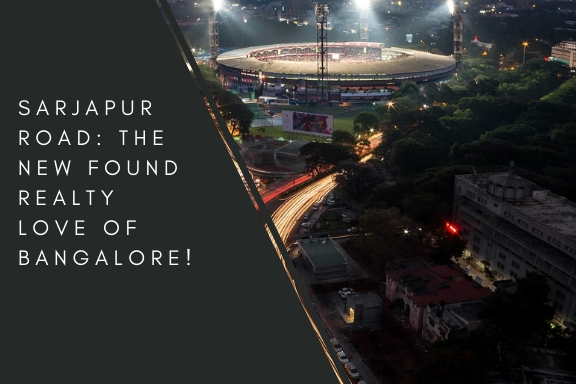 Located at Sarjapur Road, Bangalore.